Meet sweet little Sheba. This little girl born Oct 15th, 2018 is looking for her fur ever home. If you are interested in adopting Sheba please go to www.herduneededahome.com to fill out an application. 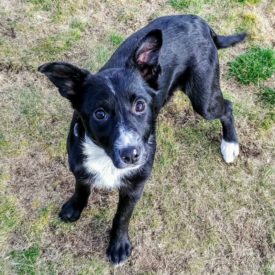 Crate trained, good with other dogs, chickens, horses and goats. $400 adoption fee. Well socialized. Aussie/Border Collie mix.